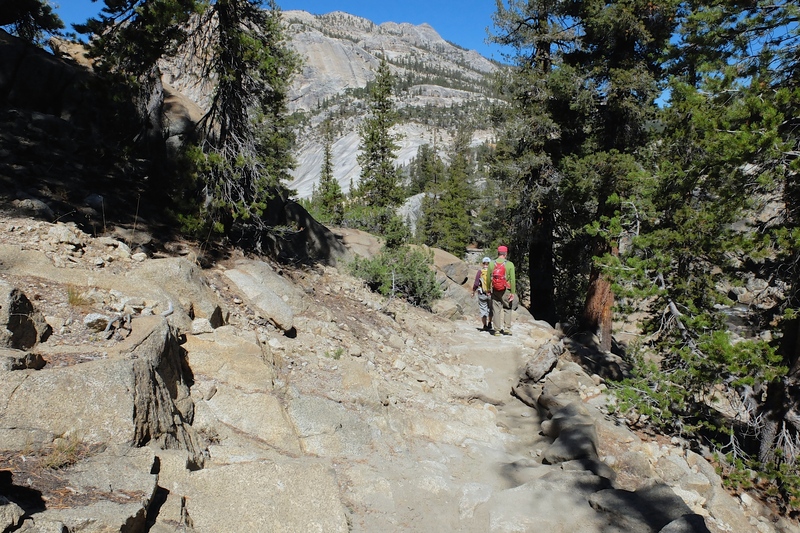 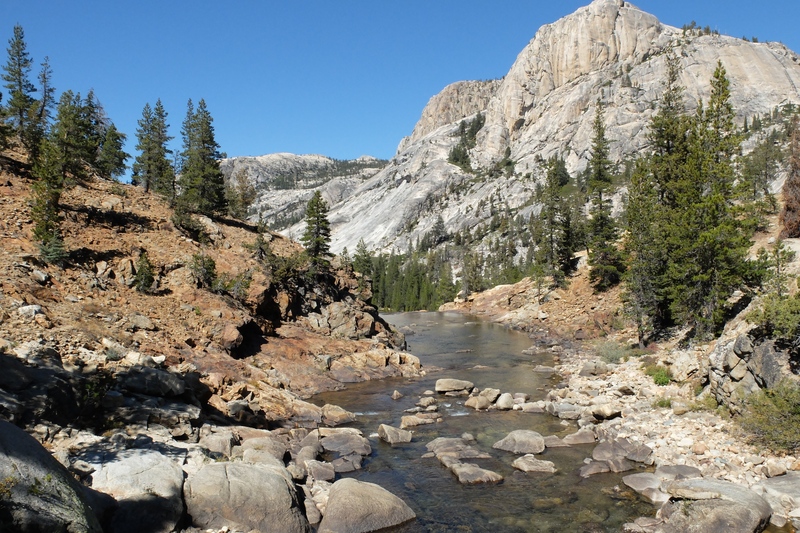 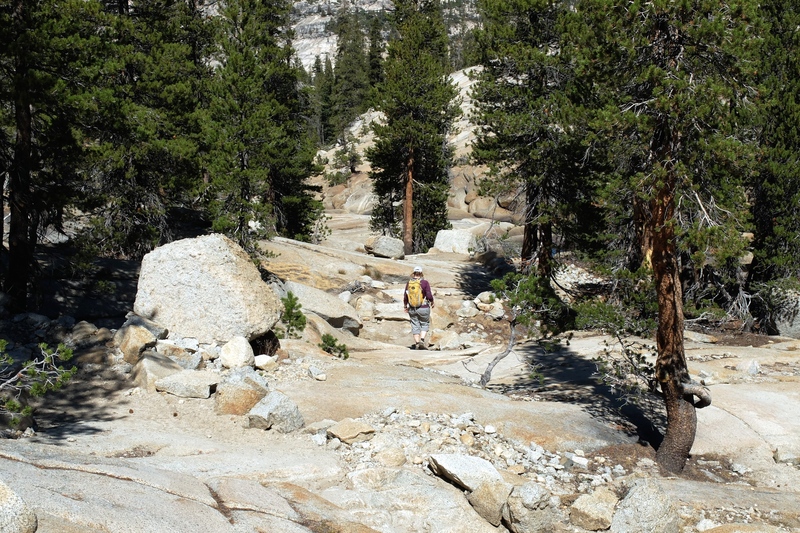 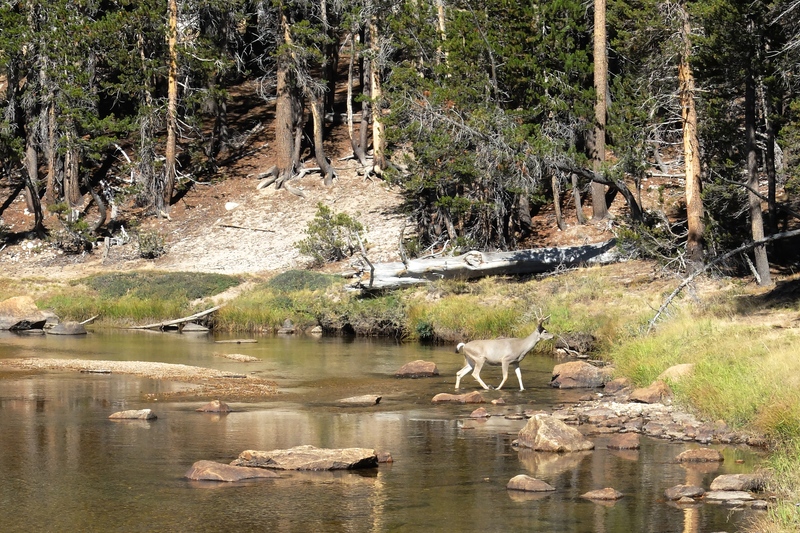 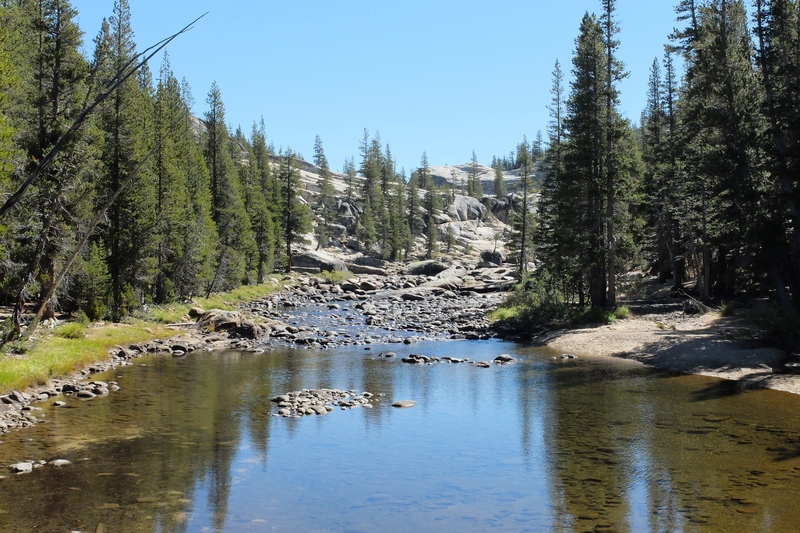 The Glen Aulin trail leads to one of five High Sierra Campgrounds in the backcountry of Yosemite National Park. 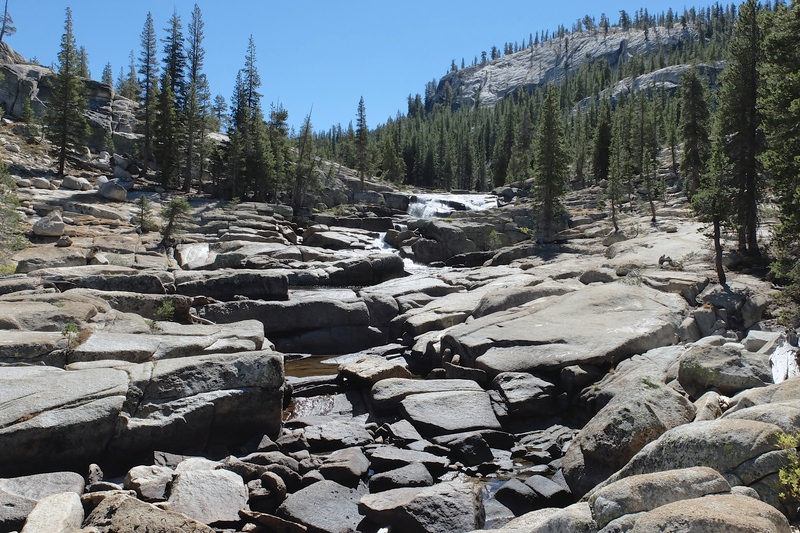 Starting from the east end of Tuolumne Meadows the trail follows the Tuolumne River downstream to the Glen Aulin campsite. 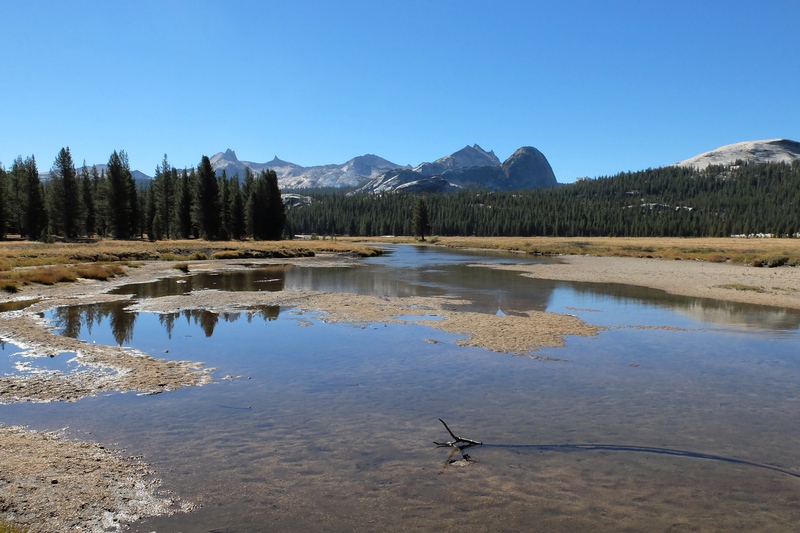 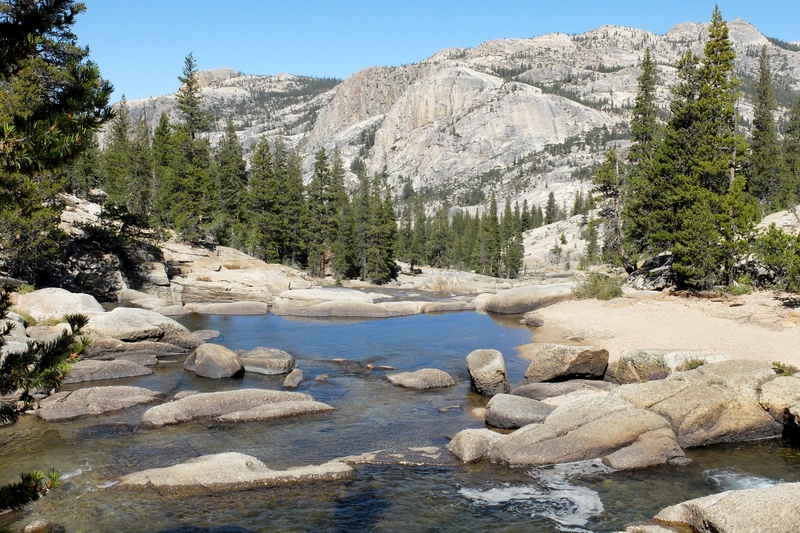 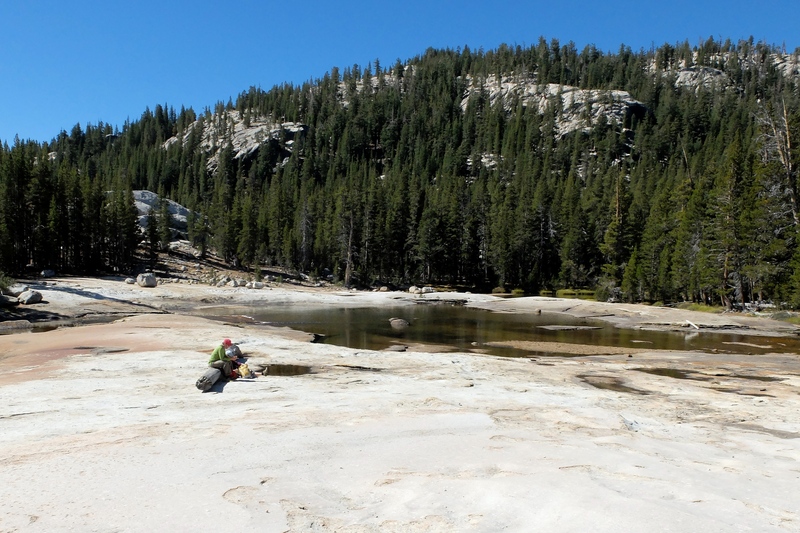 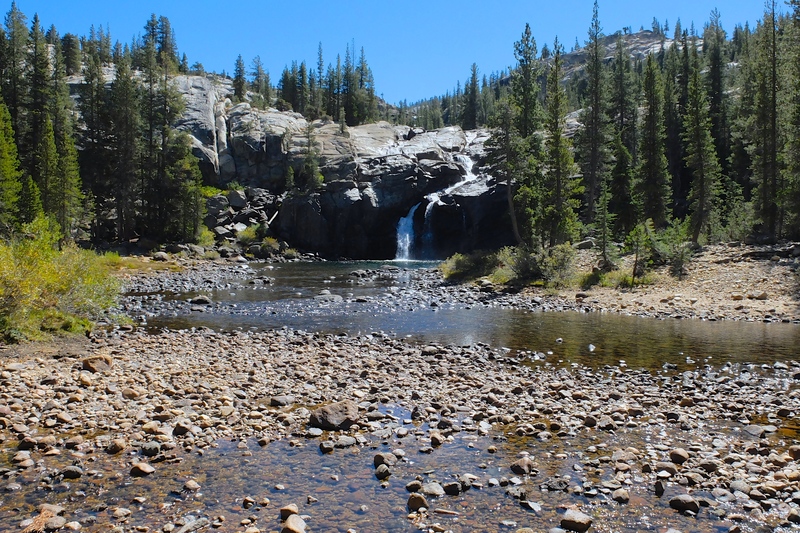 Just over 13 miles round-trip, the path starts next to small, colorful pools known as Soda Springs, before winding through rolling woodlands as the Tuolumne River winds across meadows, providing spectacular high country views. 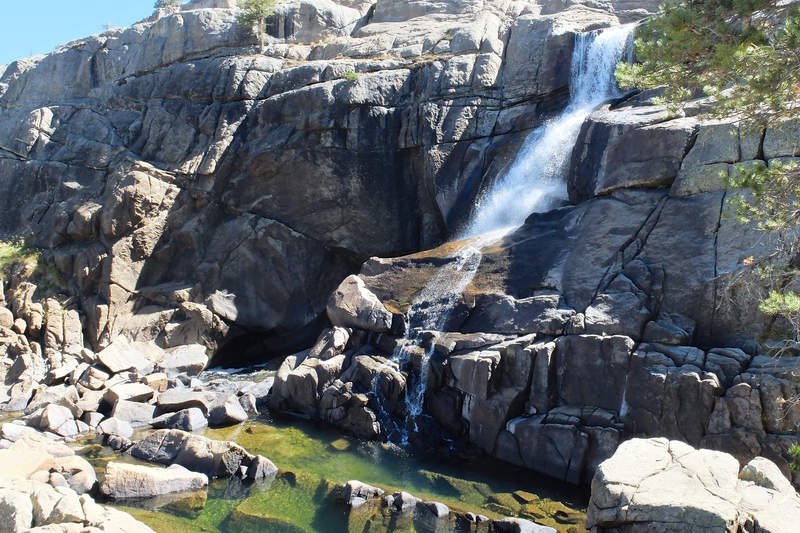 Quickly, the trail transforms to a boulder-strewn granite slope, forming river falls, cascades and deep, clear pools, as the terrain on most sides becomes steep and mountainous.